Rehabilitation and revamping of railway freight wagons, other types of wagons and coaches. We can also supply oil tank wagons (with a life of 20 years) after providing with new high speed bogies & wheel sets ( as per customer's specific requirement ). 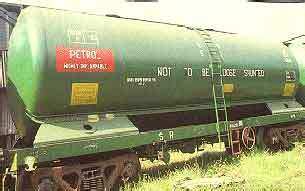 These Wagons are presently used in Meter Gauge (1000 mm) railway systems of Indian Railways. As India is converting Meter gauge to Broad gauge (1676 mm) same is offered for sale.